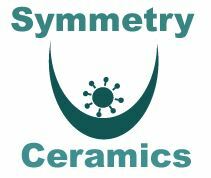 Symmetry Ceramics - Plumber, Tiler - Tiling based in Bognor Regis, West Sussex. We will use only the best quality materials and techniques to ensure a professional finish every time. Products supplied by us carry a 25 year guarantee. We not only provide a service, we are more than happy to offer advice based upon our extensive knowledge in the industry. Symmetry Ceramics can also remove the old tiling and complete any plastering work that may be necessary before the new tiling commences. Services: Symmetry Ceramics has expertise in..
Plastering prior to tiling if necessary and Latex screeding of uneven floors. All rooms undertaken i.e. bathrooms, wet rooms, kitchens, conservatories, etc..
After your initial enquiry we will look at the job at the earliest opportunity and supply an estimate either by telephone, email or post. Our quotations are extremely competitive and our reputation for customer care is first class. Should your project require the need for other trades or services we can project manage the whole task, calling upon our network of other local services and tradesmen.